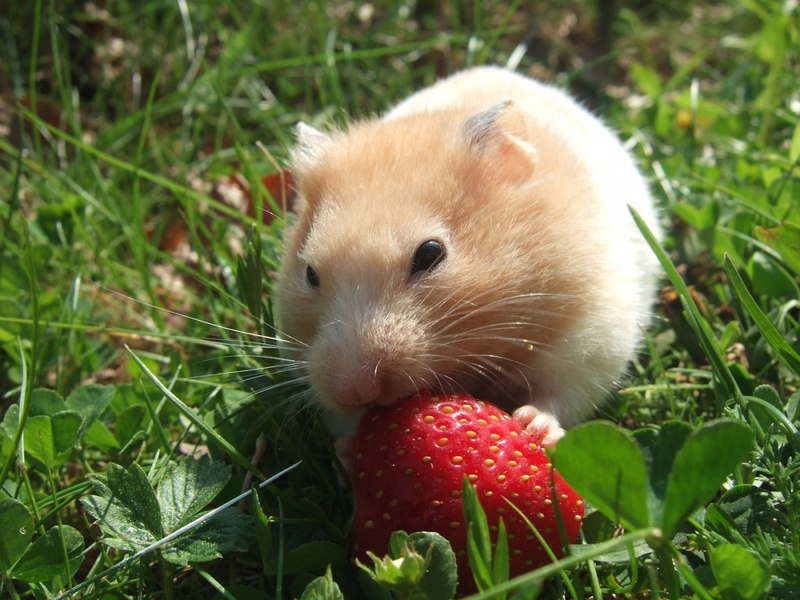 Being such small creatures, hamsters do not require anywhere near the same amount of food as cats and dogs. They can subsist on a very simple and very cheap diet of seeds, grains, and pellets. One bag of hamster food from the pet store will last you for a very long time. You are likely not even going to be buying more than $10 worth of hamster food every month. Avoid feeding your hamster with these people food, though. Another reason why hamsters are so cheap to keep is that they do not require much in order to have a comfortable habitat. Bedding and cage accessories such as tubes, food dishes, and water bottles will not cost you very much at all. Just make sure that your hamster has plenty of things to explore and climb. Hamster cages come in all sorts of shapes and sizes, allowing you to pick the one that is going to work best in your home. The cage should only take up a couple feet of space, and so can easily be put on a desk, side table, shelf, or wherever you have the room. Just make sure your new pet has space to comfortably move around. A lot of animals that are commonly kept as pets, such as cats, dogs, and birds, require a lot of attention and affection. Hamsters are certainly playful and will become friendlier the more they are handled, but they do not require nearly the same level of attention as other pets. They are perfectly fine left to their own devices. All you need to do is check up on them and regularly take them out to play. Hamsters love to groom themselves, and anyone who has ever held one knows that they rarely go a couple of minutes without beginning their cute cleaning ritual. There really is no need for you to give your hamster a bath unless you need to wash something off it. If you do need to wash your hamster, then you should only use a small amount of water, rub gently, and dry carefully. Some pets are a nightmare to clean up after, but with hamsters it could not be simpler. Just try to take out soiled parts of the bedding about once a day, and replace the bedding entirely at least once a week. Your weekly cage cleaning should also consist of wiping the cage down and cleaning all food dishes and accessories. A lot of pets require special training when you first get them. Puppies need to learn not to wet the carpet, cats need to be trained to use the litter box, and most birds need persistent training just to come out and sit on your finger. Hamsters, though they can learn to be friendlier towards you, do not really need to be taught anything else. Hamsters are a great pet for kids because of how easy they are to care for and how gentle and essentially harmless they are. Getting your child a hamster is a good way to teach them about responsibility. But before doing so, you need to understand that you are responsible as well. You should not leave your child to do everything. You will need to check up on the hamster to ensure that it is being well taken care of. Finally, the best reason to get a hamster is that they are simply a lot of fun. They will not get scared if you hold them, and they will eagerly explore every environment they are placed into. They are endlessly entertaining, they are cute, and they can provide you with companionship. What more could you want? As you can see, hamsters make great pets for a variety of reasons. They can fit in just about any lifestyle, will not require you to change your daily routine, and will not cost you a fortune either. So go ahead and get yourself a furry little companion.